home | About Longacre | Why Choose Longacre? Longacre is unique as a Prep School and genuinely offers pupils the opportunity to ‘have their cake and eat it’. The academic standards at Longacre are exceptionally high especially as our intake of pupils is diverse. 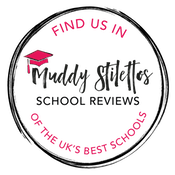 All children relish a bespoke education, differentiated to their individual needs and interests and delivered by committed, passionate and knowledgeable staff. Pupils achieve at an individual level and we expect children to respond to the academic targets set in the core subjects. The learning experience is unique at Longacre. Children enjoy specialist input from an early age combined with the security and comfort of the Form Teacher who nurtures them pastorally. Lessons are tailor-made with tasks embracing each individual’s ability. No worksheets, minimal textbooks, no ‘one size fits all’! Children are significantly challenged, with the majority working beyond the requirements of the National Curriculum. However, they are well supported and with challenge comes strong guidance and encouragement; confidence is everything and with confidence comes success. Education at Longacre is not simply regurgitation of facts: the curriculum is broad with a wealth of opportunity to develop skills applicable to a multitude of pathways, independent study, exploration, discovery, questioning, perseverance and capitalisation. Children are engaged in their learning and understand the purpose and expectancy of each task through clear learning objectives. Each child is set individual targets for every subject in conjunction with the teacher; the children are engaged in their education. It is not a passive experience but one that enables children to develop a full understanding of their potential, their purpose and a sense of their own spirit.